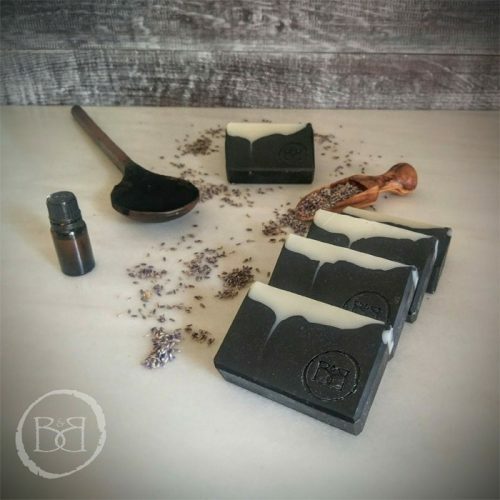 Short Product Description: Our Tea Tree, Lavender and Charcoal Face Soap, made with Argan Oil, the Holy Grail of non-comedogenic oils, added late in the process to keep its inherent properties unchanged. This soap will help to reduce the appearance of pores and fine lines, as well as to improve the overall clarity and youthfulness of the skin. 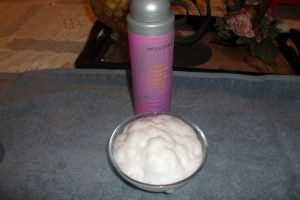 Product Website Address: Bowered and Bare L.L.C. Our Tea Tree, Lavender and Charcoal Face Soap, made with Argan Oil, the Holy Grail of non-comedogenic oils, added late in the process to keep its inherent properties unchanged. This soap will help to reduce the appearance of pores and fine lines, as well as to improve the overall clarity and youthfulness of the skin. The bars are approximately 4.25 oz. All of our soaps are palm oil free, made without animal fat, are preservative free and free from artificial colorants. Company or Makers Name: Bowered and Bare L.L.C.